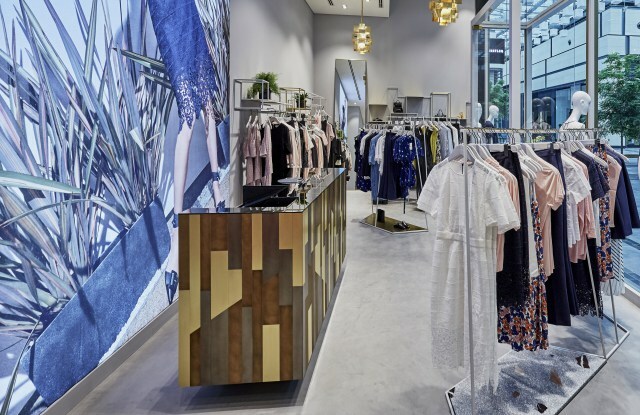 DUBAI — British contemporary brand Whistles has relaunched in the Middle East with its first store in Dubai’s City Walk, a new semi outdoor mall space created to emulate European high streets. The opening is part of a new franchise partnership with the Al Tayer Group. The store, the brand’s first outside of the U.K., will be heavy on knitwear, according to chief executive officer Jane Shepherdson. “We want it to be as representative of what Whistles is as possible,” she said, trumpeting the brand as “contemporary design for confident, independent, discerning women who want to look effortlessly cool.” The Dubai store also features Whistles men’s collection. The new agreement with Al Tayer will allow the brand to grow across the region. Next up is a store opening in February at Festival City Mall in Doha. “We are at the very beginning. We see the brand rolling out across the region,” Shepherdson said. It took some time to strategize and find the right partner. “You have to find someone who completely understands the DNA of the brand so that it can be represented exactly as you would want it, with the same standards. Finding the right partner is the critical reason as to whether you succeed or fail,” she explained. Beyond the Middle East, Shepherdson said the company is focused on expanding its presence in the United States and South East Asia.